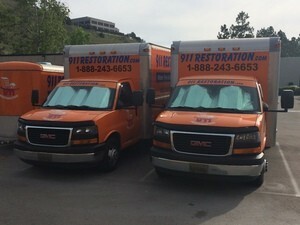 The water damage Neptune team at 911 Restoration of New Jersey takes great pride in being able to help homeowners in need at all hours of the night and day when you are experiencing a water emergency. We feel that it is our responsibility to be there for you the moment you need help, so we keep our offices open 24/7/365. So, even if you call us the morning of Christmas day, you know you will get help at your door within 45 minutes. Our Neptune flood mitigation members truly care about our customers, and understand how overwhelming it can be when water is invading your home, so we want you to feel comfortable calling us at any time. When we arrive on the scene, we will immediately conduct a free home inspection, so everyone involved will understand the scope of the work that needs to be done. Our Neptune water emergency unit wants homeowners in New Jersey to understand the importance of keeping the roof over their heads well maintained. We know how to correctly inspect your roof for issues that may cause leakage later on down the line. Our goal is to locate any cracks before the entire roof becomes affected, so it is important for the Neptune leak repair experts to do a thorough inspection before the start of the rainy season. 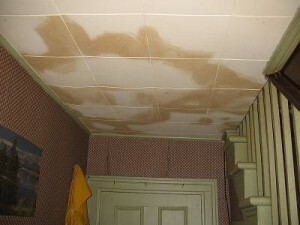 The best way to identify the exact location of any cracks is to go into the attic and check from there. If shingles are missing or damaged, if you notice stains from water on the ceiling and walls or if you notice mold growth, then you should immediately have the Neptune home restoration team begin repairs, because most likely you already have a leak somewhere. Call us today, and we will send crews to your property to ensure that your roof is ready for any storm that comes its way. Along with everything involved with the home renovations, you can depend on our Neptune flood cleanup professionals to help you file your insurance claim. With all of our experience working with insurance companies over the years, we know exactly what information they need in order to get you the best coverage your policy allows. We know that water damage restoration can be costly, especially if your entire home was flooded, so getting that coverage is crucial for not only your home, but your for peace of mind. Let us help you get the insurance coverage you deserve, and call our Neptune water extraction agents today!